Starring: Kenneth Branagh, Daisy Ridley, Leslie Odom Jr, Penelope Cruz, Josh Gad, Johnny Depp, Derek Jacobi, Michelle Pfeiffer, Judi Dench, Olivia Colman, Willem Dafoe. Agatha Christie is the most successful author in the world. Her stories or murder and intrigue have been popular for years and still are, which is why filmmakers love to turn them into movies. Murder on the Orient Express is possibly her most famous work, aside from The Mousetrap, and has been filmed four times before, the most famous being in 1974 with a stellar cast led by Albert Finney as the infamous Hercules Poirot. So can Kenneth Branagh give this a new twist? Or will it be the same old whodunnit? 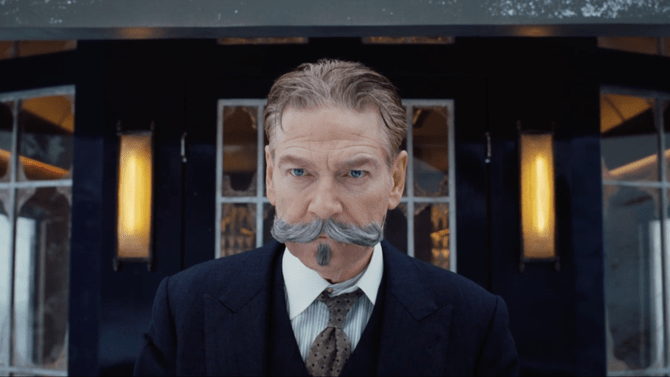 After solving a case in Jerusalem, top detective Hercules Poirot is in line for a holiday but duty calls him to London and so he must board the legendary train, The Orient Express. Sharing his journey is an art dealer and notorious gangster, Edward Ratchett, who wants Poirot to investigate a series of threatening letters he is receiving, which the detective declines. That very night, the train becomes stranded due to an avalanche and Ratchett is murdered. With a vessel of 12 potential suspects, Poirot has to use his best deduction to find out exactly who committed the crime. It was always going to be tricky remaking such a famous story where many would know the solution, I for one was very familiar with the Sidney Lumet directed version from the 70’s and so knew whodunnit (don’t worry, I won’t say), so it was going to be an uphill climb for Branagh to make it both different and gripping. Thankfully the actor and director almost have achieved it. The first thing to say it that it looks magnificent. Every scene is glorious, from the stunning opening of the Wailing Wall to the journey through the snowy mountains. What he and cinematographer Haris Zambarloukos have done is made the train part of the story and use every vantage point to tell the tale, whether it be from the outside, inside and even from above. The discovery of the dead body, which is never shown initially, is shot looking down, making it look like an elaborate version of Cludo. Add to that the attention to detail as far as the production values are concerned and the film is a winner technically. The film starts off strong with an introduction to Poirot, a man who likes everything precise, right down to the eggs at breakfast being the same size. With his outlandish moustache, the Belgian detective announces the culprit of a crime in a lavish set piece around the Wailing Wall. Once boarding the Express, the action becomes much more claustrophobic, especially when the train becomes stranded on a bridge. Branagh’s action takes place mainly in the carriages and restaurant of the train, escaping to the outside of the odd action sequence to liven up the interrogation. This is where the film does falter. 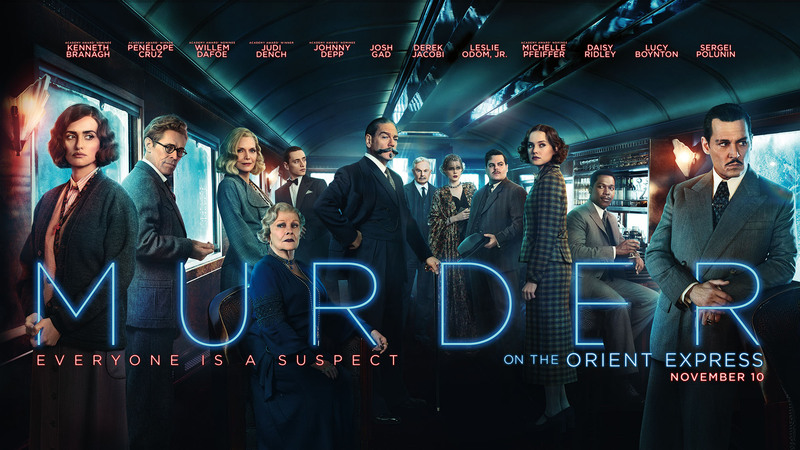 After such an impressive start and the slow build-up of intrigue as to when the crime will be committed and who actually killed the gangster, the film walks into familiar territory for an Agatha Christie story, where her detective starts questioning everybody. Sadly this middle section does become a little repetitive and slows the pace down tremendously. Not the fault of the director or the cast but the source material. In a time of films moving at a fair rate, it becomes apparent that Christie’s love of detail doesn’t necessarily work in 21st Century cinema, although Branagh respects it. Thankfully, the finale is terrific and if you don’t know who committed the crime, then this will become not only a joy but a neat surprise. Like the 1974 version, Branagh has brought in some big hitters in the world of cinema. Casting himself as the great detective, he is having loads of fun and makes for a very appealing and likeable Poirot. The rest of the cast get enough screen time to try and out-act each other, although I was disappointed that Judi Dench and Olivia Colman, as a countess and her handmaid, weren’t given as much to do as the rest of the starry cast. 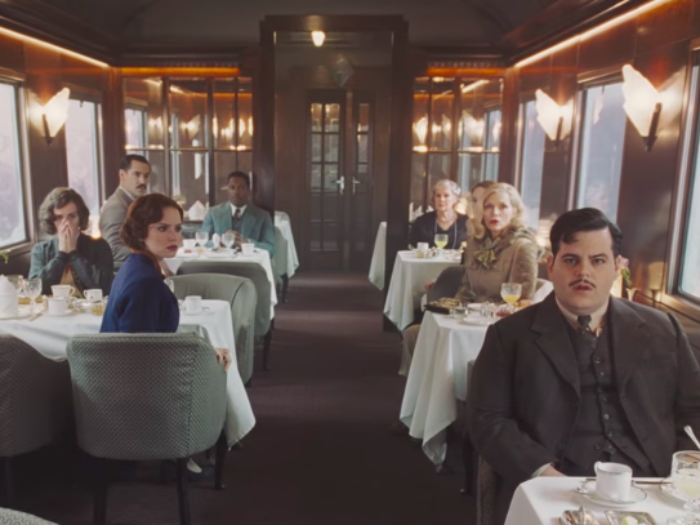 Murder on the Orient Express will work for fans of Christie and for those who can become mesmerized by the cinematography. It may feel a little laboured in places for those who enjoy their films fast-paced but it’s still loads of fun and extremely entertaining enough to make for a perfect night out at the cinema. It also proves that Branagh is a terrific filmmaker. A very classy affair.